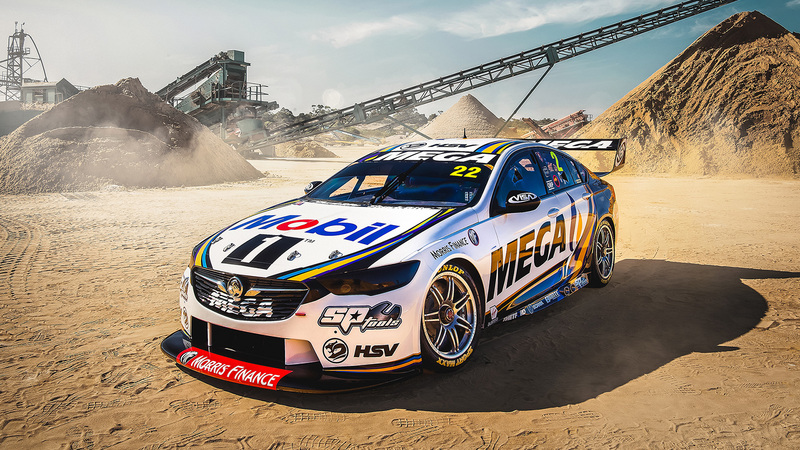 The all-new 2019 livery for Mobil 1 MEGA Racing. 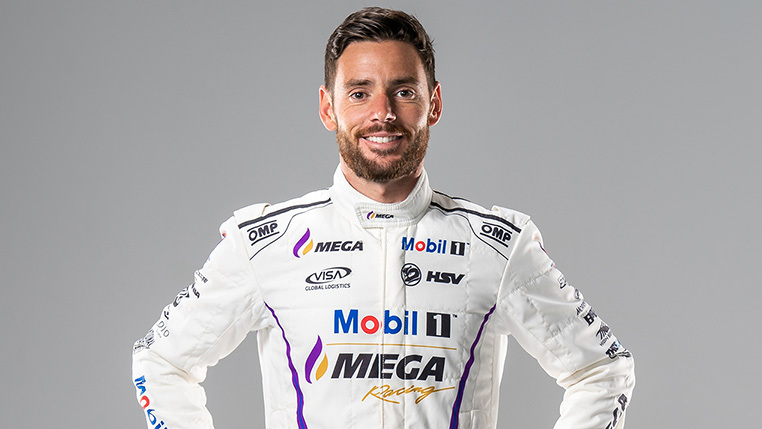 Pictured: The all-new 2019 livery for Mobil 1 MEGA Racing. 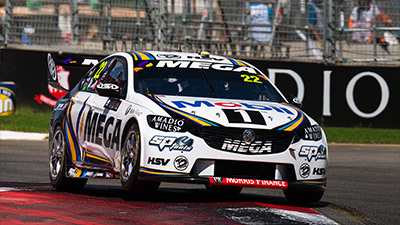 Walkinshaw Andretti United has today announced that Mobil 1™ and MEGA will combine as the Team’s co-naming rights partners for the 2019 Virgin Australia Supercars Championship, creating Mobil 1 MEGA Racing. 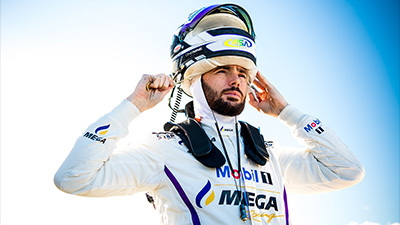 Mobil 1 will enter into its 26th consecutive year as a partner of the Team, while MEGA join the Walkinshaw Andretti United family for the first time. Australian owned and operated, MEGA Limited is a solutions-focused distributor of fuel products in Australia, providing on-site refuelling, bulk diesel supply, and logistical solutions for industry operations across the country. 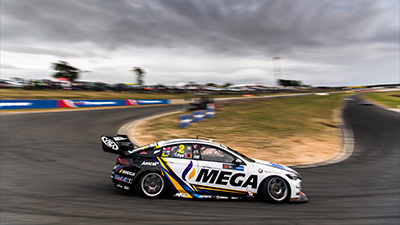 MEGA will take a major branding point on the side of both Scott Pye and James Courtney’s Holden ZB Commodores, as the team welcomes an all new white, black, purple, blue and gold PPG paint colour scheme, representative of the two major partners. 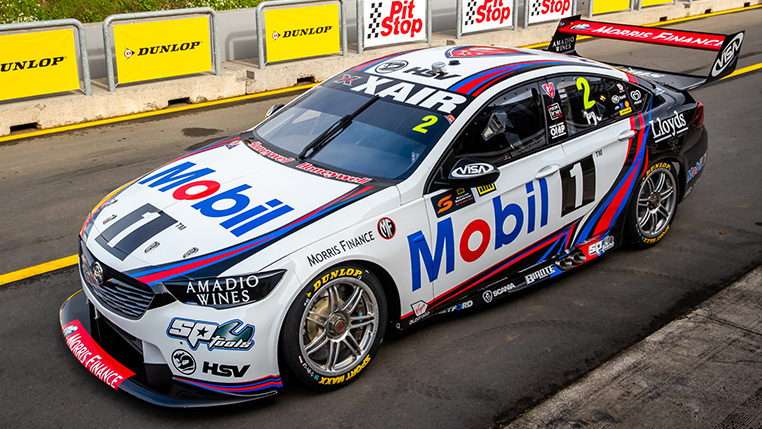 The Mobil 1 relationship with the Team stems back to 1994, when they joined the then Holden Racing Team and drivers Peter Brock and Tomas Mezera. 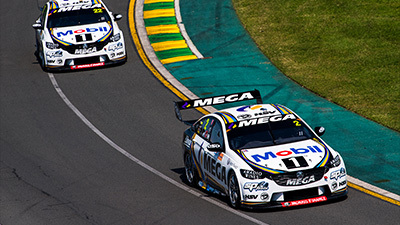 Since then, Mobil 1, the world’s leading synthetic motor oil, and the team have shared many successes together, including nine Bathurst wins, eight driver championships and seven team championships. They retain their iconic position on the bonnet of both cars. 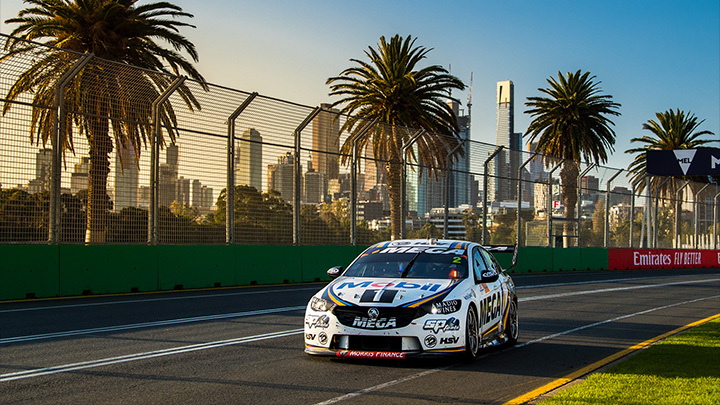 In news that will excite many, the HSV logo will appear on a Walkinshaw Andretti United car for the first time, as the relationship between the two continues. Walkinshaw Andretti United also welcome back partners Visa Global Logistics, SP Tools, Morris Finance, Biante, Scania PPG, Amadio Wines, BMC Air Filters, Kleentek and Eagle SMF who will all continue their integral roles within the team for the upcoming season. In further exciting news, the Team welcomes on board its new partners in National Group, Thetford, High Sierra, OMP, Raceline, ORAFOL and King Springs, who have joined for the 2019 season. 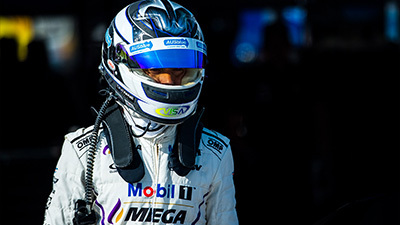 Adding to this, www.mobil1megaracing.com.au, the Team’s revamped new website is also live. 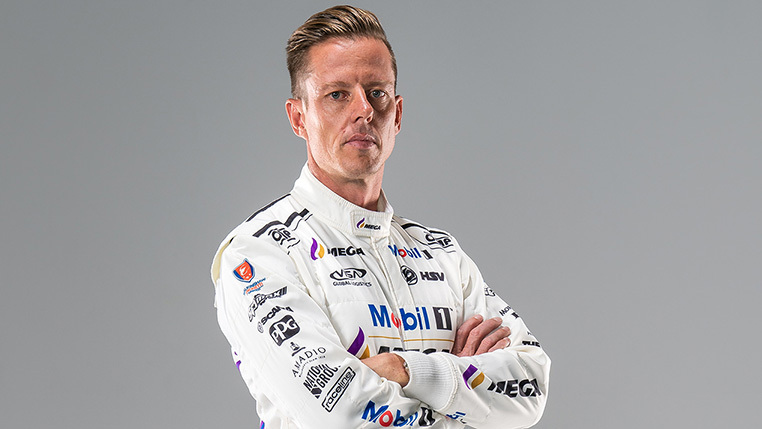 The current livery will be consistent across both cars, as Scott Pye continues with #2, while James Courtney returns to #22, synonymous with the Team after switching to #25 for season 2018 in celebration of the 25-year anniversary of the Mobil 1 partnership. 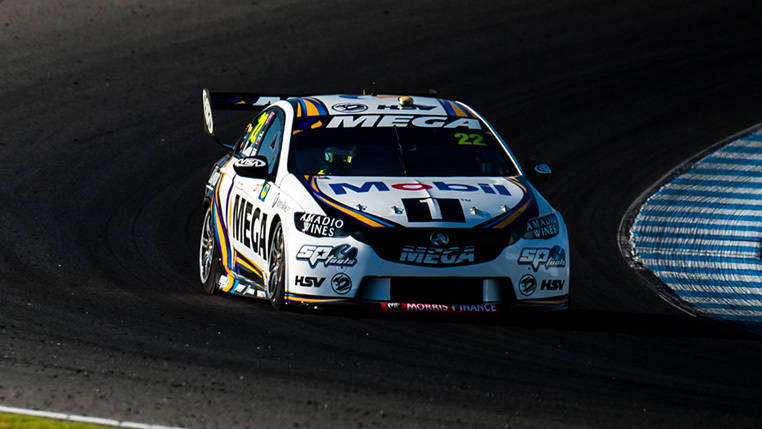 Both Mobil 1 MEGA Racing Commodores will hit the track for the first time at the Supercars pre-season test day at Phillip Island on Thursday February 14. “Today is an extremely exciting day for Walkinshaw Andretti United, as we are delighted to announce Mobil 1 and MEGA as co-naming rights partners, and accordingly release our new team entry and livery presentation. “MEGA is a booming business who assist Australian industry with a diverse range of cost-effective bulk fuel solutions. With great offering, a passionate executive team and a genuine thirst for competition we are excited in our alignment and welcome them to the team! After agreeing to terms late last year, we’ve been really looking forward to sharing this exciting news with our legion of fans. 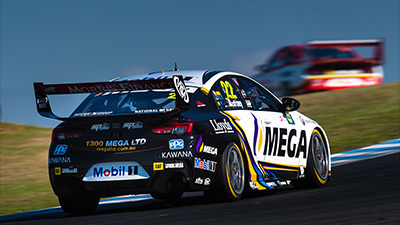 “Significantly, having the world leading lubricant Mobil 1 continue as an integral partner to our team, is a real testament to the strength and trust in our enduring relationship. We have enjoyed great success together, and I have no doubt that we will continue to share racing success in the future. “Importantly, having great synergy between two likeminded companies in Mobil and MEGA is refreshing for all parties involved. 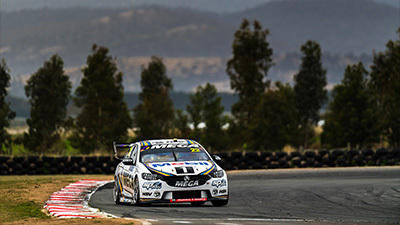 “It’s also real pleasure to have HSV, Visa Global Logistics, SP Tools, Morris Finance, Biante, Scania PPG, Amadio Wines, BMC Air Filters, Kleentek and Eagle SMF back with of the team, and to welcome new partners in National Group, Thetford, High Sierra, and an important technical partnership with King Springs. All of these partners play an essential role in this team, and we couldn’t do it without them. 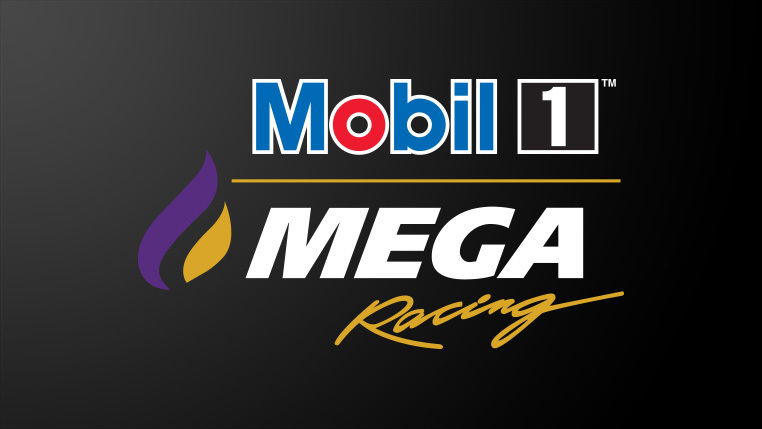 “It’s fantastic that Mobil 1 and MEGA have combined with us to create Mobil 1 MEGA Racing. 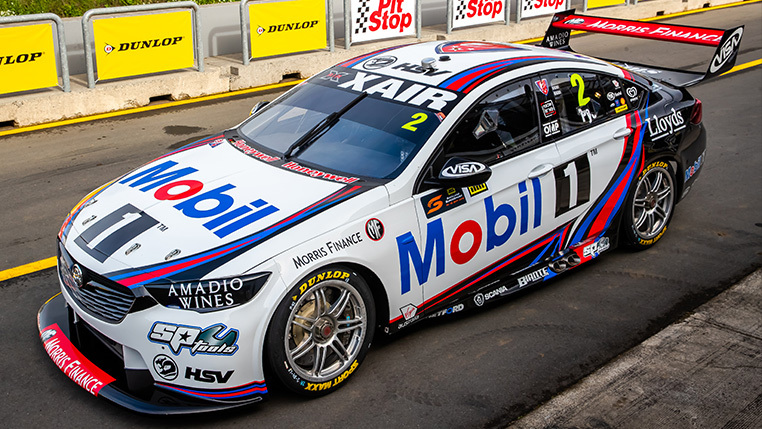 “The car and our new colours look fantastic, it’s a credit to everyone involved in getting them to this point, and I’m positive it will be a standout on track. “To have the continued support of our existing partner group as well as welcoming on a group of new partners reaffirms the direction and journey we are on as a team. It’s tremendous to have all of their support for what is sure to be a big season. 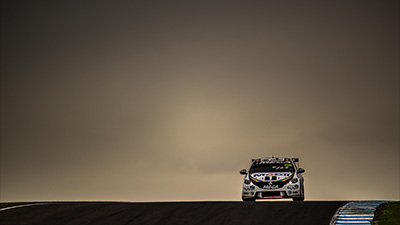 “Motorsport is a key area of our marketing strategy and is entrenched in the DNA of our organisation. 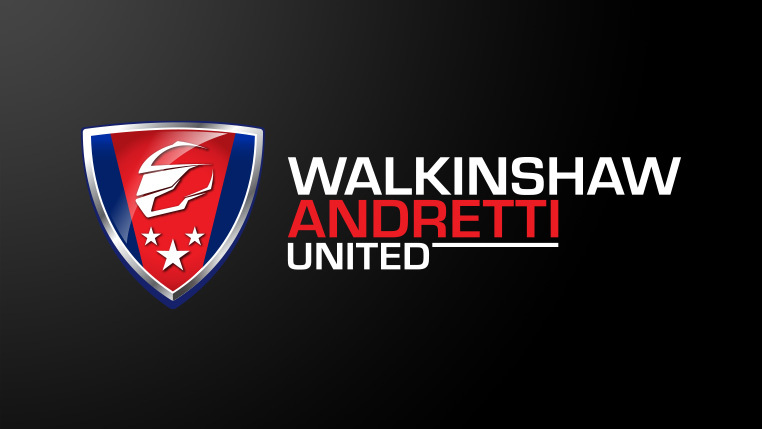 It is a pleasure to align ourselves with Walkinshaw Andretti United, and a group of likeminded partners. 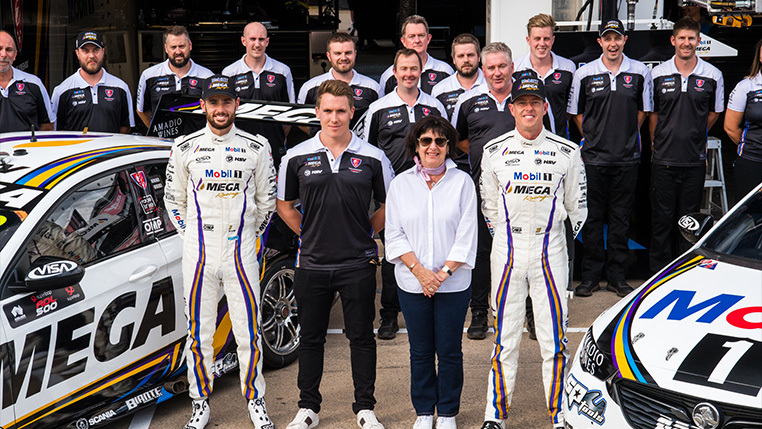 “There’s real momentum with this team and where they are headed, we look forward to the 2019 Supercar season and the years to follow. “MEGA prides itself on its customer service and transparency, we assist Australian businesses with diverse, cost effective bulk fuel solutions, supported by an experienced and professional team. 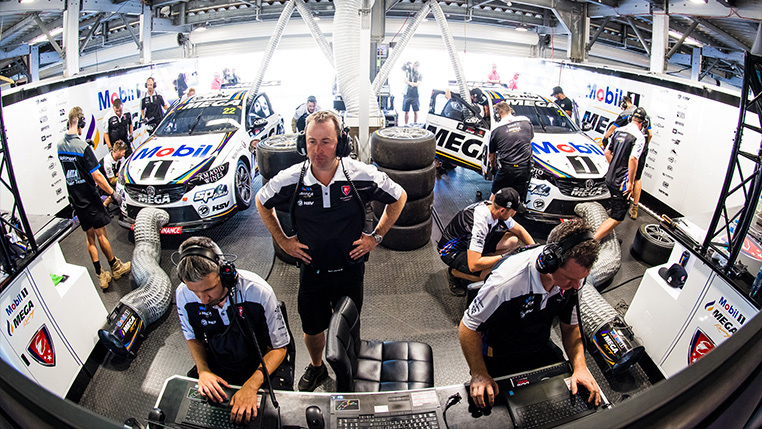 “Mobil, in conjunction with our authorised lubricant distributors across ANZ is delighted to continue as technology partner with Walkinshaw Andretti United in 2019, our 26th year with the Walkinshaw family. 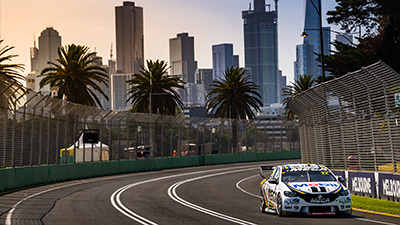 “Motor Racing is in our DNA and we value this successful relationship that extends back to before the birth of V8 Supercars and look forward to the continuing resurgence of the Team.